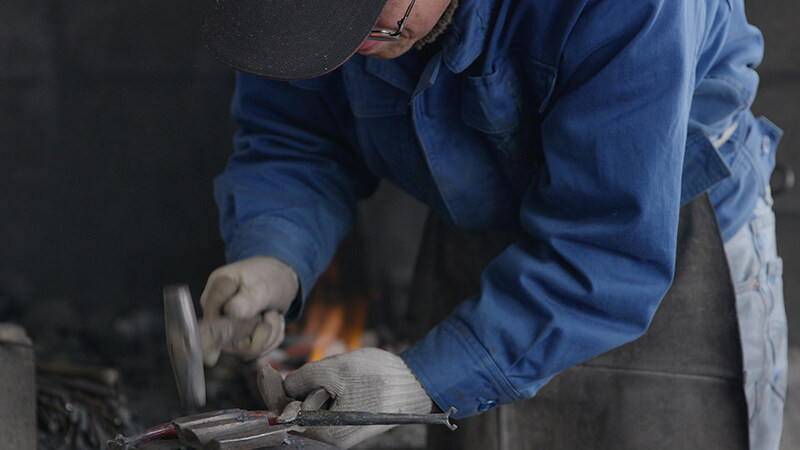 Tanaka Pot-handle Workshop is the only place in Morioka which makes pot-handles for the Nanbu iron kettle. The skills that go into making the perfect pot-handle by striking red hot iron with a hammer are nothing short of true craftsmanship. 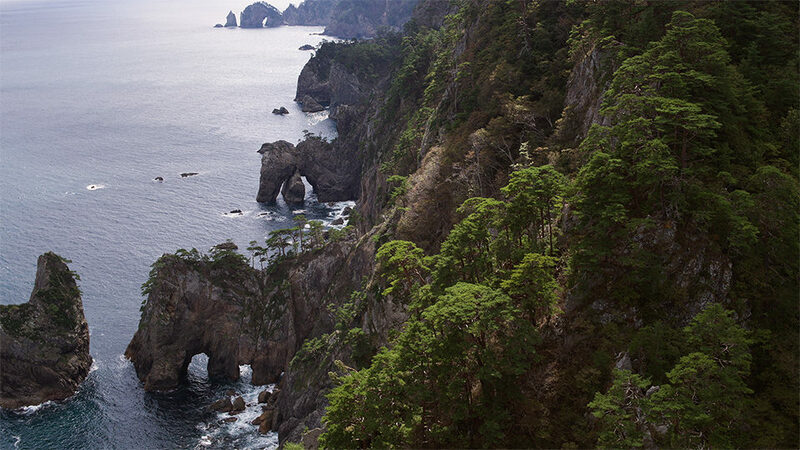 One of the best scenic spots on the Sanriku Coast traditionally described as a heavenly paradise. The view of 52 million year old volcanic rocks standing in the calm sea is a symbolic depiction of peace. 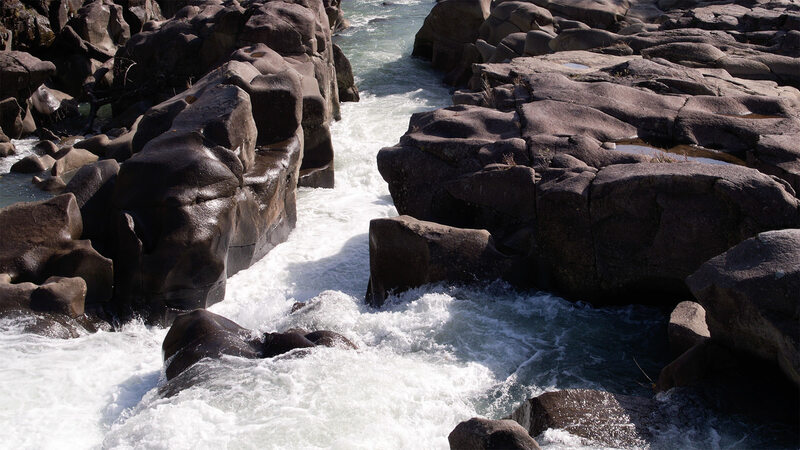 Various dynamic views of waterfalls, potholes, unique rocks and abyss in the gorge created by Iwai River can be seen. Experiencing the delivery of a local specialty called “Flying Dumplings” from the opposite shore via rope is also a must. A local traditional food which you quickly eat in a small bowl. They keep adding more soba noodles into your bowl as soon as you finish one serving. In order to have them stop adding noodles, you have to signal them by putting a top on your bowl. 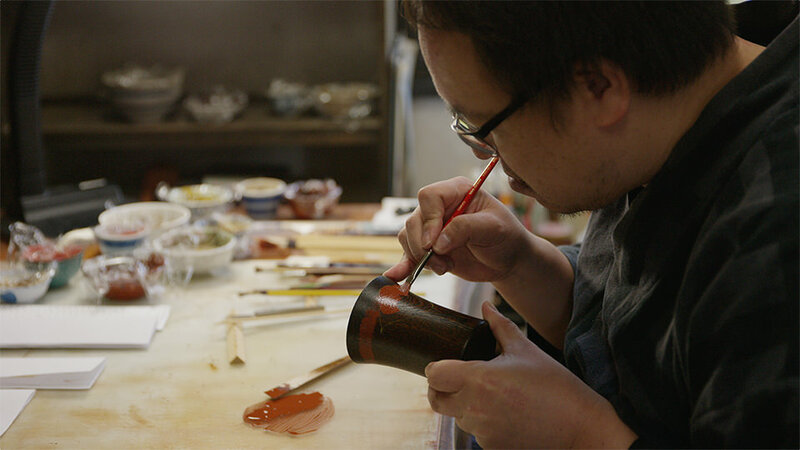 An attractive traditional artifact lacquered in an old style which is carried on in Iwate since the end of the Heian era. The lacquerware with a pattern of diamond shaped gold foil, and one with flowers and plants both have a refined and beautiful touch. 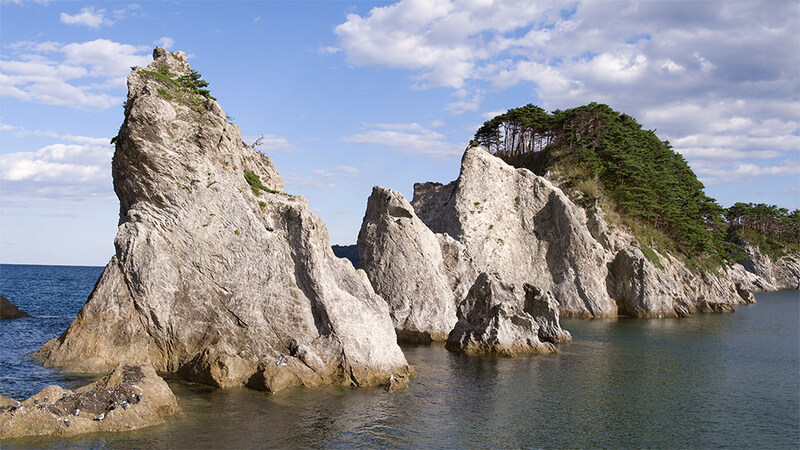 With a dynamic shoreline with 200 meter high cliffs and uniquely shaped rocks, Kitayamazaki is also referred to as the alps of the sea. The view is great in fine weather, but the mystic hazy view in the rain is impressive as well.